Search for the latest Beach Villas townhouses for sale in Sandestin Resort in Miramar Beach, FL. Learn more about this community with our local Beach Villas Guide. Explore other Sandestin Resort communities and listings. 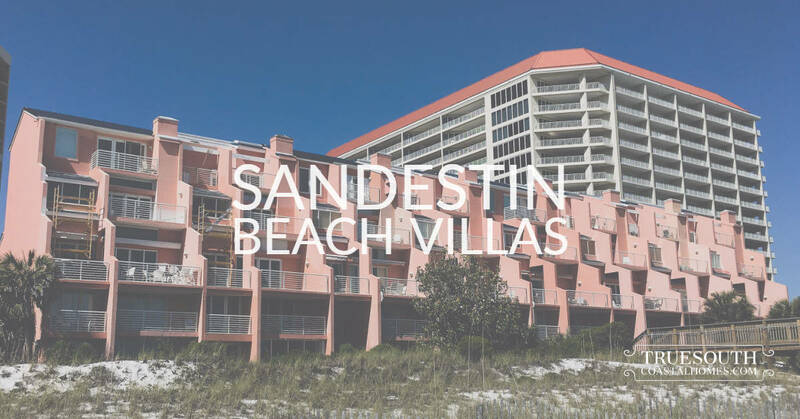 Sandestin Beach Villas is a private community on the beachside of Sandestin Resort. It is tucked away in the southeast corner of the resort just adjacent to the Hilton Hotel on the beach. Originally built for the enjoyment of Hilton and Sandestin developers, units feature picturesque views of the Gulf and easy beach access. These townhomes are very rare, being that there are only 8 units that do not often make it to the market. Owners share their own 200' stretch of sugar-white sand beaches. Each unit is 5 floors and includes an elevator and garage. Rentals are not allowed. The listings on this page include Sandestin Beach Villas townhomes in Sandestin Resort in Miramar Beach, FL. If you’re interested in scheduling a showing or learning more about any one of these homes, simply fill in your contact information and click the “Request More Info” button. Our team is here to provide you with any information you need, including disclosures, the sales history of a property and nearby market data.